Industrial bearings have been a mainstay of the IBT Industrial Solutions business from the very beginning, when IBT was founded in Kansas City in 1949. With this legacy of service, you can be confident that you are working with the pros when you partner with IBT. 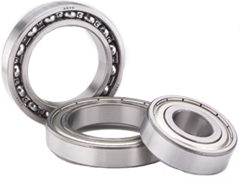 Whether you are replacing an existing bearing or specifying bearings for new applications, IBT Industrial Solutions is your full-service bearing supplier. We welcome the opportunity to add value to our products and services by offering ideas to help reduce downtime, increase productivity, and improve bearing performance. Your IBT technical service representative can also arrange for specialized applications training, as well as preventive and predictive maintenance seminars, for your employees.